"This new move by Rob McEwen can be very positive for the company and means that now Los Azules will not be up for the fire sale just to finance the El Galo II and the proper bids for the projects will be welcomed by end of Q2. El Galo II can now be developed without throwing out the Los Azules to the first buyer coming alone. PEA is due in Q3 and we can have dramatically different markets by then as well. In the big economic picture Yen was rising against the US dollar from overnight and, as we have twitted before - Watch The Gold Now. Gold has it fireworks today and is UP 35 dollars or 2.6%. Over-shorted stocks like McEwen Mining do not need a second reminder about the explosive nature of Junior Mining - company is on fire today with 5.5 million shares traded only in US (Canada was closed today) and is UP 18.9% to 2.33 dollars. Tomorrow will be interesting day with Canadian markets open - we need the follow through action now with Gold and Miners to confirm the April Gold Low. 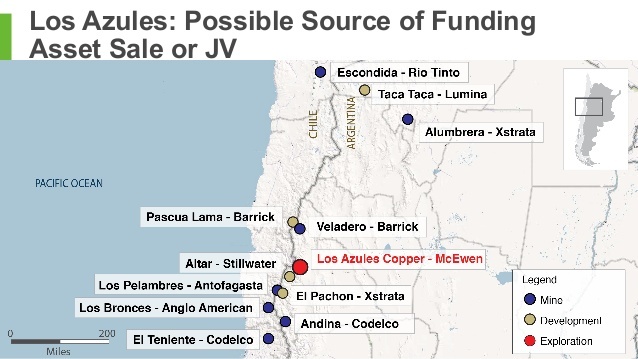 Meanwhile TNR Gold insiders continue to accumulate:"
"Los Azules is a large undeveloped copper porphyry system located in western San Juan Provincewithin a belt of porphyry copper deposits that straddles the Chilean/Argentine border. This belt contains some of the world's largest copper deposits, including Codelco's El Teniente and Andinamines, Anglo American's Los Bronces mine, Antofagasta PLC's Los Pelambres mine and Xstrata'sEl Pachón project, among others. Los Azules is one of the world's largest, highest grade, undeveloped copper-porphyry deposits not owned by a major base metals company." "Action with McEwen Mining was quite interesting this week and, particularly, on Friday. Stock has refused to follow the Gold that day and stubbornly was climbing higher all day. Rob McEwen was making some of his magic on Thursday at the conference call after the Q1 update and McEwen Mining Shareholders meeting will be taken place next week. Chief Owner has promised release from one of the exploration program before it and Los Azules new resource estimate is due by the end of May. According to his facebook page, Rob was on the road last few weeks talking to numerous Investment Banks..."
"Now you can slice and dice it: what will be the price for Los Azules and what will be the effect on McEwen Mining and, particularly, TNR Gold valuations and market caps. All slides are from McEwen Mining presentations." Vancouver B.C., May 30, 2013: TNR Gold Corp. (the "Company" or "TNR") has filed on SEDAR a Technical Report (effective date May 27, 2013) supporting the recently completed resource estimate on the Shotgun Gold project in Alaska. Nicholas Van Wyck, Ph.D. CPG of Sisyphus Consulting, an independent qualified person as defined by NI 43-101, is the primary author of the report with Allan Armitage, Ph.D., P.Geol of Geovector Management, also an independent qualified person, responsible for the resource calculation at Shotgun Ridge, an area of gold mineralization located within the Shotgun Gold project. TNR reported via a news release dated April 22, 2013 an inferred mineral resource at Shotgun Ridge containing 20,734,313 tonnes with 1.06 grams per tonne ("g/t") gold ("Au") for a total of 705,960 ounces gold using a 0.5 g/t Au cut-off. The mineralization is clearly open at depth with some potential to extend laterally. The inferred mineral resource disclosed in the Technical Report is consistent with the disclosure of the inferred mineral resource announced in TNR's April 22, 2013 news release. The Company has identified unique geophysical anomalies in magnetics, resistivity and chargeability responses that coincide with the known mineralization and also occurs in areas adjacent to the known mineralization providing several targets for follow-up testing. The report recommends a budget for 8000 metres of drilling, upgraded logistics and camp facilities and additional airborne and ground geophysical surveys. Drilling would focus on testing the newly identified targets and the extents of the known mineralization laterally and at depth. TNR holds a 100% interest in the Shotgun property located 190 kilometres south of the Donlin Gold Project deposits within the Kuskokwim Gold Belt in southwestern Alaska. This area is emerging as a world-class, multimillion ounce gold district. The Shotgun property includes a number of prospects, including Shotgun Ridge and nearby Winchester. Donlin Gold is an intrusion-associated system and represents one of the largest undeveloped gold deposits in the world. The Company believes that there are several key similarities between prospects on the Shotgun property and that of the Donlin Gold Project deposits as well as other important intrusion-associated deposits width wide. TNR acquired 100% of the Shotgun Ridge prospect in 2010 following a 50/50 joint venture with Novagold Resources Inc. ("Novagold"). 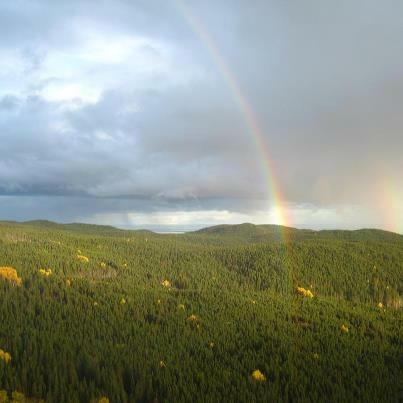 A total of 66 mining claims, each 160 acres, are located over and surrounding the Shotgun Ridge prospect for a total of 10,560 acres (4273.48 hectares). Ground geophysical surveys conducted in 2011 and 2012 by TNR helped to identify structural controls on mineralization at Shotgun Ridge. Drill testing in 2012 confirmed the structural model of mineralization with two drill holes returning mineralized intervals in excess of 200 metres, SR12-56 returned 242 metres averaging 1.25 g/t gold and SR12-57 returned 209 metres averaging 1.02 g/t gold (news release dated 10 October 2012). The Company is targeting a large tonnage low-grade porphyry system at Shotgun Ridge. Structural repeats, as interpreted from airborne magnetic data and ground geophysical surveys, provide TNR with encouraging targets for future drill testing. TNR is also a major shareholder of International Lithium Corp. (TSX:ILC.V) ("ILC"), a company created by TNR to advance its internationally acquired lithium prospects. TNR currently holds about 25.5% of the outstanding shares of ILC. At its core, TNR provides significant exposure to gold and copper through its holdings in Alaska and Argentina and is committed to continued generation of in-demand projects, while diversifying its markets and building shareholder value. John Harrop, PGeo, FGS, and Vice President, Exploration of the Company is a "Qualified Person" as defined under NI 43-101 has reviewed and approved the technical content of this news release. Neither the TSX Venture Exchange nor its Regulation Services Provider (as that term is defined in the policies of the TSX Venture Exchange) accepts responsibility for the adequacy or accuracy of this Q&A. Statements in this Q&A other than purely historical information, historical estimates should not be relied upon, including statements relating to the Company's future plans and objectives or expected results, are forward-looking statements. 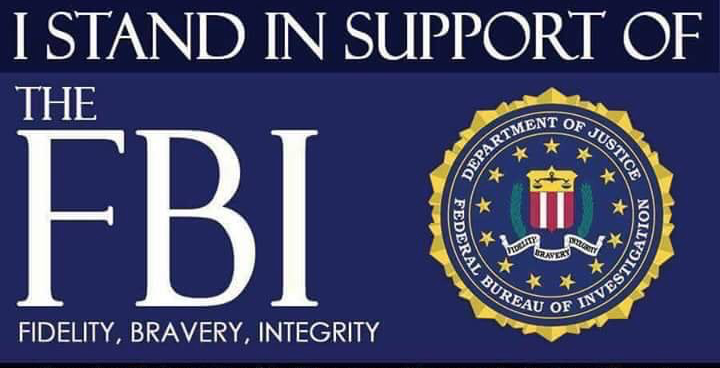 Q&A may contain certain "Forward-Looking Statements" within the meaning of Section 21E of the United States Securities Exchange Act of 1934, as amended. Forward-looking statements are based on numerous assumptions and are subject to all of the risks and uncertainties inherent in the Company's business, including risks inherent in resource exploration and development. 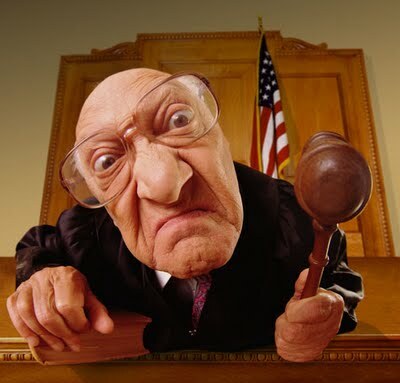 As a result, actual results may vary materially from those described in the forward-looking statements." @LucSpruitenburg SUNY Foundation is partly funidng the research! Graphene Labs has 4000 customers some of which are Fortune 500 More coming! 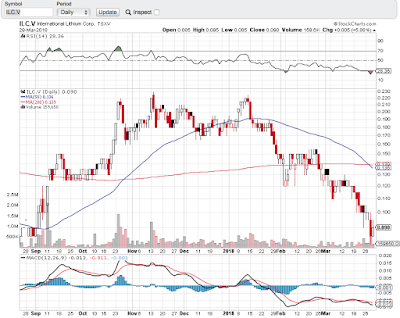 "Lomiko Metals is Halted from yesterday morning - it will be interesting what kind of news required the halt this time. We hope that it will not be just closing of recently announced financing, but something even more strategically important. Junior mining market is very tough now, after its entrance in the very exiting Graphene universe with Graphene Labs Lomiko needs a strong strategic partner to make its dreams the reality. In this case situation can change literally overnight for this company." VANCOUVER, BRITISH COLUMBIA and NEW YORK, NEW YORK--(Marketwired - May 29, 2013) - LOMIKO METALS INC. (TSX VENTURE:LMR)(PINKSHEETS:LMRMF)(FRANKFURT:DH8B) (Europe: ISIN: CA54163Q1028, WKN: A0Q9W7) (the "Company") announces that the SUNY Research Foundation at Stony Brook University (RF), Graphene Laboratories, Inc. (Graphene Labs) and Lomiko Metals, Inc. have agreed to investigate novel, energy-focused applications for graphene. "This new agreement with Stony Brook University's researchers means Lomiko is participating in the development of the technology graphene makes possible," commented Paul Gill, CEO of Lomiko. "Using graphene to achieve very high energy densities in super capacitors and batteries is a transformative technology. Strategically, Lomiko needs to be participating in this vital research to achieve the goal of creating a vertically integrated graphite and graphene business." Under its Strategic Alliance Agreement with Lomiko, Graphene Labs -- a leading graphene manufacturer -- will process graphite samples from Lomiko's Quatre Milles property into graphene. The Research Foundation, through Stony Brook University's Advanced Energy Research and Technology Center (AERTC) and the Center for Advanced Sensor Technology (Sensor CAT), will then examine the most efficient methods of using this graphene for energy storage applications. There is no certainty the proposed operation will be economically viable. Graphene's remarkable properties, including its high conductivity, mechanical strength, and high specific surface area, make it an ideal electrode material for electrochemical devices used in clean energy applications. Graphene shows promise for super-capacitors and next-generation Li-ion batteries. Efficient energy storage is a cornerstone for a resilient and reliable energy transmission grid and graphene is a key element of the clean energy system. For all parties involved, the goal of this collaboration is to map commercially viable routes for the fabrication of graphene-based energy storage devices. By participating in these projects, the partners will address the cost of graphene production, as well as how best to integrate the material into commercial energy storage devices. Lomiko and Graphene Labs have agreed to co-develop a vertically integrated supply chain that includes a secure supply of high-quality graphite, cost-effective and scalable processing, tight quality control and integration of graphene-based products in end-user products. The parties will capitalize on the secure supply of high quality graphite, provided by Lomiko, and the extensive customer database and expertise in graphene materials brought by Graphene Labs. 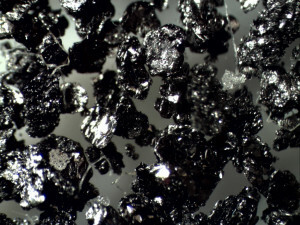 Lomiko has provided mineral samples from the Quatre Milles Project for natural high quality flake graphite for graphene conversion. Under the Agreement, Graphene Labs will develop a feasible procedure for the purification of flake graphite for use in graphene production. They will also provide guidance on technologies tailored to the production of graphene and graphene-related materials. The Agreement also calls for joint Research and Development and business, communications, and marketing strategy for end uses of the graphite and graphene products. Lomiko also has the option to provide equity financing(s) to Graphene Labs on an exclusive basis for two years if it meets Graphene Labs funding requirement of raising at least $500,000 within eight months of the agreement, $1,000,000 within twelve (12) months and $2,000,000 within eighteen (18) months. If the requirements are not met, Lomiko loses exclusivity but maintains the right to participate in financings on a non-exclusive basis. The Agreement is subject to approval by the TSX. Graphene Laboratories, Inc. primary focus is to apply fundamental science and technology to bring functional advanced materials and devices to market. Graphene Laboratories Inc. operates the Graphene Supermarket® (www.graphene-supermarket.com), and is a leading supplier of advanced 2D materials to customers around the globe. In addition to the retail offering of advanced 2D materials, it offers analytical services, prototype development and consulting. Located in Calverton NY, Graphene Labs benefits from the unique high tech community on Long Island. Efforts by Graphene Laboratories are supported by Brookhaven National Laboratory, Stony Brook Business Incubator, and the Clean Energy Business Incubator Program (CEBIP), hosted by the New York State Energy Research and Development Authority (NYSERDA). For more information on Graphene Laboratories, Inc, visit www.graphenelabs.com or contact them at (516)-382-8649 or via email at info@graphenelabs.com. Located in the Research and Development Park on the campus of Stony Brook University, the Advanced Energy Incubator is space that is home to companies within the Advanced Energy Center. The Advanced Energy Center (www.aertc.org), a New York Center of Excellence is a true partnership of academic institutions, research institutions, energy providers and companies. Its mission is innovative energy research, education and technology deployment with a focus on efficiency, conservation, renewable energy and nanotechnology applications for new and novel sources of energy. The New York State Center for Advanced Technology at Stony Brook University (http://www.usensors.com/SENSORCAT/), designated by the Empire State Development Corporation, Div. of Science Technology and Innovation (NYSTAR), provides intellectual, logistical, and material resources for the development of new product technologies - by facilitating R&D partnerships between New York companies with an in-state footprint and university researchers. The important outcomes are new jobs, new patents, training of students in company product matters, and improved competitiveness for New York State businesses. Lomiko Metals Inc. is a Canadian based exploration-stage company. Its mineral properties include the Quatre Milles Graphite Property and the Vines Lake property which both have had recent major discoveries. On October 22 and November, 13 2012, Lomiko Metals Inc. announced 11 drill holes had intercepted high grade graphite at the 3,780 Ha Quatre Milles Property. On March 15, 2013 Lomiko reported 75.3% of graphite tested was >200 mesh and classified as graphite flake with 38.36% in the >80 mesh, large flake category. 85.3% of test results higher than the 94% carbon purity considered high carbon content, with the median test result being 98.35%. The highlight of Lomiko's testing was nine (9) sieve samples which captured flakes of varying sizes which tested 100.00% carbon. Both fine and flake material may be amenable to graphene conversion by Lomiko Metals Inc. partner Graphene Laboratories. The project is located 175 km north of the Port of Montreal and 26 km from a major highway on a well-maintained gravel road. We seek safe harbor. Neither TSX Venture Exchange nor its Regulation Services Provider (as that term is defined in the policies of the TSX Venture Exchange) accepts responsibility for the adequacy or accuracy of this release." Lomiko Metals is Halted from yesterday morning - it will be interesting what kind of news required the halt this time. We hope that it will not be just closing of recently announced financing, but something even more strategically important. Junior mining market is very tough now, after its entrance in the very exiting Graphene universe with Graphene Labs Lomiko needs a strong strategic partner to make its dreams the reality. In this case situation can change literally overnight for this company. "Lomiko Metals has made its way up to the FT article on graphene: company has a lot of potential, but capital will be needed for the next step. With all that interest to the graphite and graphene now, to raise announced 500,000 should not be a problem and we are looking forward to this confirmation. Now talk is very cheap in the junior mining market and only solid backers can make the future for any company. Strong strategic partner with deep pockets can make all the difference here." "Lomiko Metals was on fire last week and we have the Volume Buy signal now - will the company be able finally to defy the gravitation of "the dead junior market" remains to be seen, but the Company has the goods now and it is building the buzz around its very interesting Graphene opportunity. Few latest presentations by Lomiko Metals CEO Paul Gill will help you to dig into this story. BNN will put this company under the spot light and we like to see in the latest News Release that company is looking for the Strategic Investor for its vertically integrated Graphite and Graphene business model." "Now Lomiko Metals has the goods to deliver for its Graphite and Graphene Investors. Strategic Investor with the deep pocket to develop the property will be ideally the next step to reposition this company to the different valuation league. Results from the property speak for themselves this time and market takes notice." Gold - The Perfect Storm. Ron Paul I m Buying Gold! Dont Sell Your Gold!